Grey’s Anatomy is one of my favorite television shows. I re-watch the episodes all the time — no seriously, all the time — and it’s my go-to comfort TV show. So when Patrick Dempsey’s character, Dr. Derek Shepherd, was killed off in the incredible — but awful — episode of Season 11, “How To Save A Life,” I was pissed. How could they!? I loved Derek Shepherd; I loved his character, his hair, his funny moments, and, most of all, I loved the relationship between him and Meredith Grey. It was almost inconceivable to imagine the show without McDreamy and his fantastic hair (seriously though) and the general feeling was that this moment was the end of Grey’s Anatomy as we knew it. To recover from the shock I decided to re-watch the show from the beginning to get some more time with the original cast members, to see Derek and Meredith dancing again, to see Derek waking up with Meredith and Christina in his bed, to see the incredible episode “Give Peace A Chance” again. Instead, I realized something else entirely: part of Season 10, and most of Season 11, were lost. The characters had lost something, that specific something that makes people tune in time and time again to watch a show, the kind of something that made Shonda Rhimes, and her seemingly Midas-like touch, a legend. The show had slowly lost the thing which had made it Grey’s Anatomy. It was a show which could deftly weave humor and ridiculousness with incredible — and relevant — story lines in order to create a community that was not only likable and relatable but also real. I’ll miss the genuine depths and desires, faults and humility, and that feeling of reality that somehow related across the dramatic cases and, frankly, insane number of freak accidents. With that thought in mind, I decided to watch the season premiere of Season 12 without thinking about Derek Shepherd and the large and permanent void he had left behind. And, boy, was I glad I watched. “Sledgehammer” opens with the warning that everything has changed followed by an actual encounter between a sledgehammer and a wall (it’s great, trust me). A powerful patient story ran throughout the episode which focused on bullying and homophobia as well as the immense consequences both of these things have on people. While the patient story served as a serious backdrop for the characters — and held an important message for the audience — there was room for humor and classic Grey’s Anatomy moments with Arizona Robbins threatening to stalk an intern until she revealed why no one wanted to live with her, and the hilarious dynamic between Meredith Grey, her half sister Maggie Pierce, and her sister-in-law Amy Shepherd as they attempt to live under one roof. 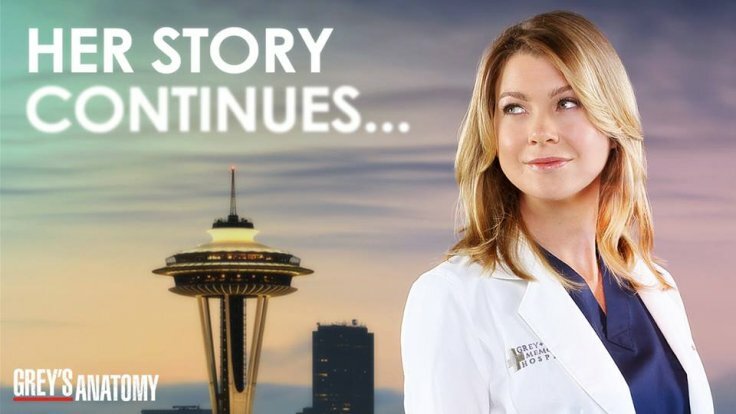 We are suddenly back to the beginning of the show with important story lines, banter, hilarious moments, a perfect Bailey speech, and the beginnings of a new chapter in Meredith’s life. With Derek Shepherd’s death it seems like a breath of fresh air has blown in and the show is better than ever, though it’s unfortunate that it took his demise to bring about this change. Watch Grey’s Anatomy on Thursdays on ABC in the US and CTV in Canada.